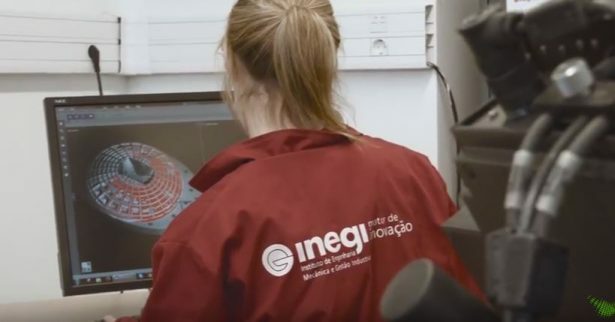 INEGI, aka Institute of Science and Innovation in Mechanical and Industrial Engineering, is one of the most prestigious engineering institutes in Portugal, with 30 years of experience in bringing forth new technologies in the field of research and development. It positions technological innovation right at the interface between industries and universities. INEGI promotes research, technology-based innovations, and transfer of technology oriented towards the industrial sector. It currently employs 200 designers and engineers, and assumes the role of an active agent in development and consolidation of a competitive model, based on knowledge and innovation of technological products and processes. At the institute, they use SOLIDWORKS design and simulation tools supplied by Sqédio to meet its complex 3D CAD design requirements. They hire in volumes from the University of Porto, FEUP, whose students are well-versed with advanced knowledge of SOLIDWORKS software. Watch this video to learn more about how Inegi solves its research and engineering challenges using SOLIDWORKS design and simulation tools, its advanced 3D visualization capabilities, and much more, that has resulted in cutting time and monetary costs associated with iterative testing.